Emily Blunt packed a killer one-two punch last year with her roles in A Quiet Place and Mary Poppins Returns. Check out five more movies that prove she is one of Hollywood’s most versatile performers. When A Quiet Place hit theaters last spring, there was one name on everybody’s lips: Emily Blunt. Her performance as a pregnant mother trying to keep her family alive in the midst of a post-apocalyptic world caught audiences’ attention in a big way. To Blunt’s credit, she didn’t give audiences much choice; it was a perfect role for her, showcasing her unique and esteemed versatility as a performer. In the film, that happens to be directed by Blunt’s husband John Krasinksi, Blunt’s character spends a lot of time under extreme duress — as if being pregnant wasn’t enough, she ends up giving birth while under attack by ruthless, near-unstoppable monsters. The film demands she play a wide range of emotions, from subtle and wordless affection to heart-stopping fear. Blunt followed up her role in A Quiet Place with a role that could not be more different: Mary Poppins. In Mary Poppins Returns, Blunt assumes the role of one of the most iconic characters in film history. She does the role justice, even when the movie doesn’t; the script feels a bit distracted and Blunt’s Poppins ends up taking a backseat in the second half of the movie, but her performance still soars. However, 2018 was hardly the first time Emily Blunt proved herself to be one of Hollywood’s most versatile performers. For more than a decade, she has proven herself with an impressive variety of roles and films that showcase her skill. Check out these five movies that prove Emily Blunt is Hollywood’s most versatile performer! If you’ve seen them already, I promise you won’t regret revisiting them, either. Although still less than 20 years old, The Devil Wears Prada has already cemented its legacy as one of the most popular movies of the aughts. 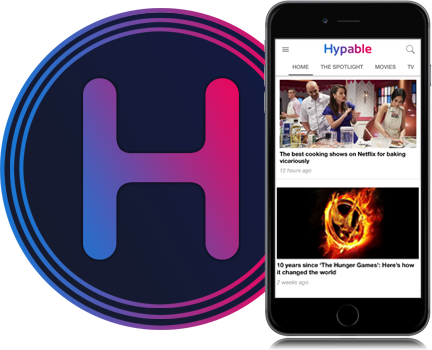 The story of recent college graduate Andy (Anne Hathaway), who is hired to work for powerful fashion magazine editor Miranda Priestly (Meryl Streep), has earned a robust fanbase that has turned their love for the film into endless rewatches, think pieces, and memes. Although the film primarily revolves around the relationship between Hathaway and Streep, Emily Blunt plays a crucial role as Hathaway’s fellow assistant who finds her hard work eclipsed as Andy rises through the ranks. Although it’s a supporting role, Blunt’s performance is surprisingly multifaceted; she plays everything from a devilish antagonist to a sympathetic best friend to a comedic sidekick. The Devil Wears Prada is one of the earliest examples of Blunt’s effortless range as a performer. 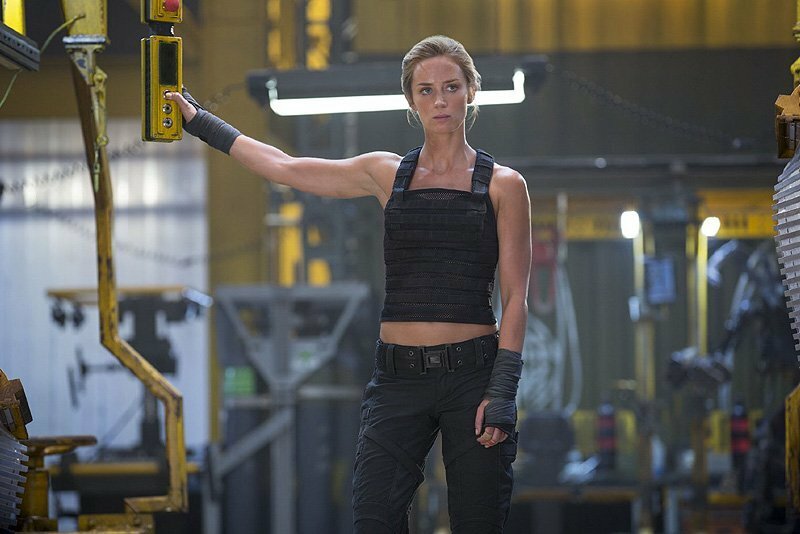 Plenty of actresses have played second fiddle to Tom Cruise over the years, but in Edge of Tomorrow, Emily Blunt manages to steal the spotlight time and time again. The film is build around a familiar Groundhog Day premise that follows one soldier (Cruise) forced to relive the same battle (against aliens, no less…) over and over again. Blunt plays a fellow soldier that helps to train and fight alongside Cruise. Blunt proves her versatility by easily meeting the demands of the action film, one that allows her to exercise different acting skills that we haven’t seen in her strictly dramatic work. There’s something special about Emily Blunt’s performance in Denis Villeneuve’s Sicario. The movie, which revolves around the escalating war on drugs on the border between the United States and Mexico, follows an FBI agent (Blunt) who is recruited to work alongside Alejandro (Benicio Del Toro) on an elite drug task force. 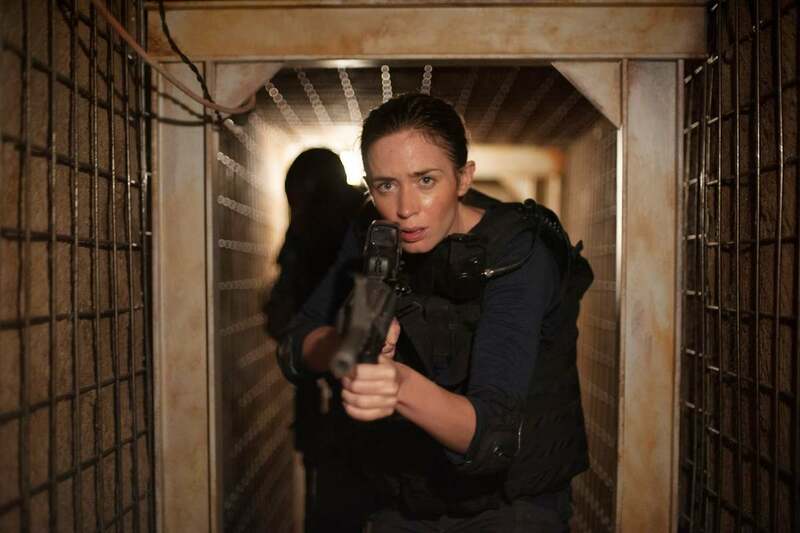 In a movie like Sicario, there might be a temptation to make the female lead a kind of fearless and faultless leader. However, what’s so brilliant about Blunt’s performance is how vulnerable she allows herself to be; she isn’t afraid of showing weakness and fear alongside her strength and courage. It gives the story an added dynamic that elevates the quality of the film as a whole. Comedy? Yep! Action movie? Check! Auteur-directed thriller? Done! How about a British period drama? Emily Blunt’s done that, too. In 2009, Blunt played the leading role in The Young Victoria directed by Jean-Marc Vallée (Big Little Lies, Wild). Blunt plays the leading role in the film, starring as a young monarch struggling with the rules and expectations set forth by her family and country. The movie tackles both the romantic and political machinations faced by a monarch at that time in history and allows her the freedom to grapple with those choices as a real defined character. As always, Blunt demonstrates an unmatched versatility that makes her one of Hollywood’s strongest performers. In Sunshine Cleaning, Emily Blunt and Amy Adams play sisters who are down on their luck and struggling to find direction in their lives. After hearing about the potential to make money cleaning crime scenes, the sisters go into business together. Directed by Christine Jeffs, Sunshine Cleaning is a comedy-drama hybrid about how it feels when your life doesn’t turn out the way you expected. Emily Blunt and Amy Adams play very different characters, but there isn’t a false moment between them thanks to the strength of their performances. Sunshine Cleaning is yet another fine performance from Emily Blunt in a career full of variety. Her command over her characters remains one of her most impressive traits as an actress, making her one of the most versatile working in Hollywood today.